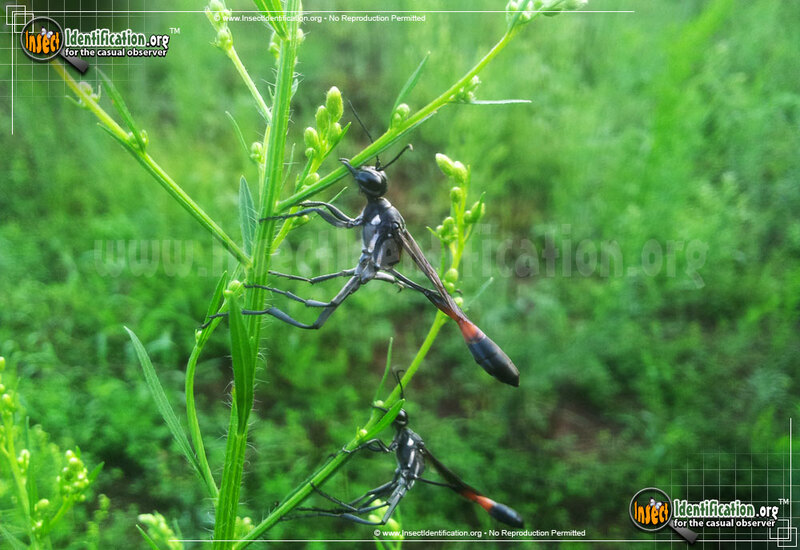 Detailing the physical features, habits, territorial reach and other identifying qualities of the Common Thread Waisted Wasp. 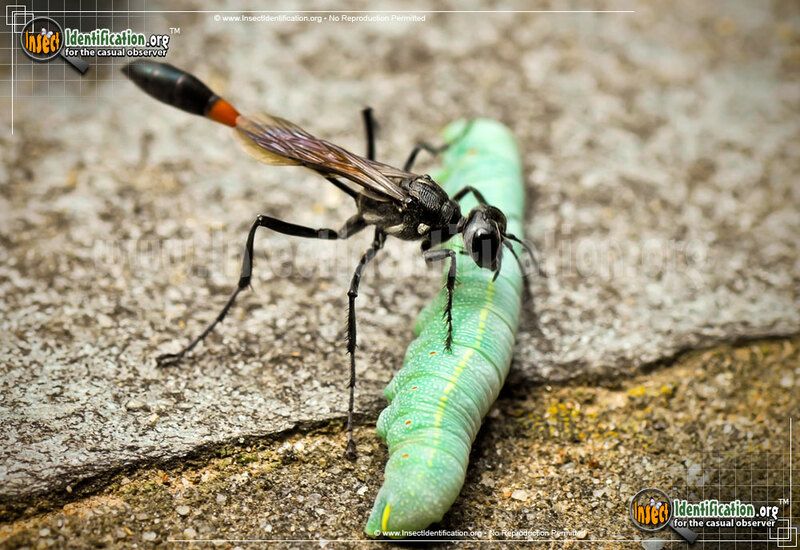 The Thread-Waisted Wasp is an active hunter, searching for and paralyzing caterpillars and other insects in order to feed its offspring. The incredibly narrow 'waist' on this wasp led to its name. The glossy black wasp has a bulging abdomen with a red or orange band near the hair-thin waist. 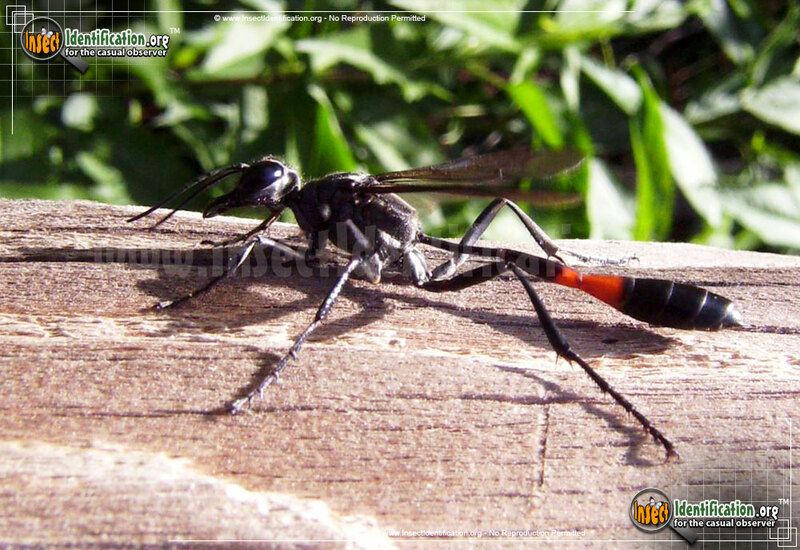 Long, skinny legs are black and allow the wasp to hold onto vegetation while it watches for potential prey. Large, glossy eyes are black and on the sides of the head. Large mouth parts are on the front of the head. 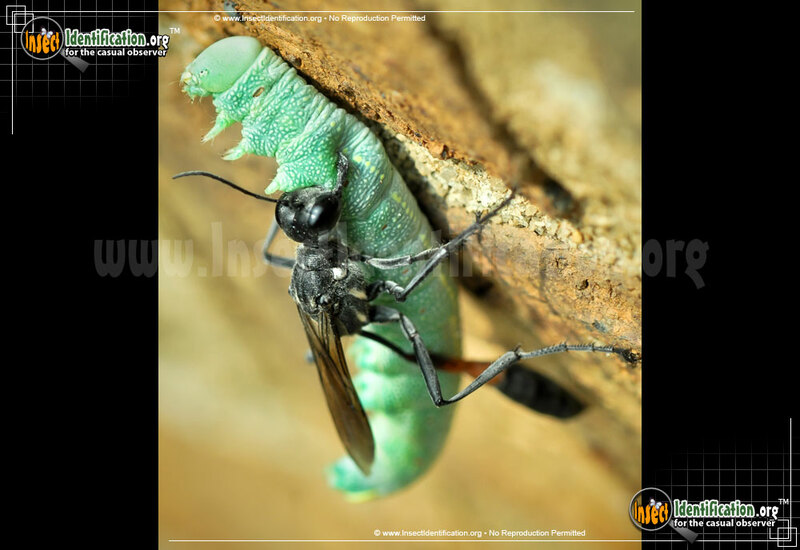 The Thread-Waisted Wasp is an ambush attacker, immobilizing insect prey with a swift venomous sting. Its powerful jaws aid it in carrying or dragging the numb victim back to an underground lair. 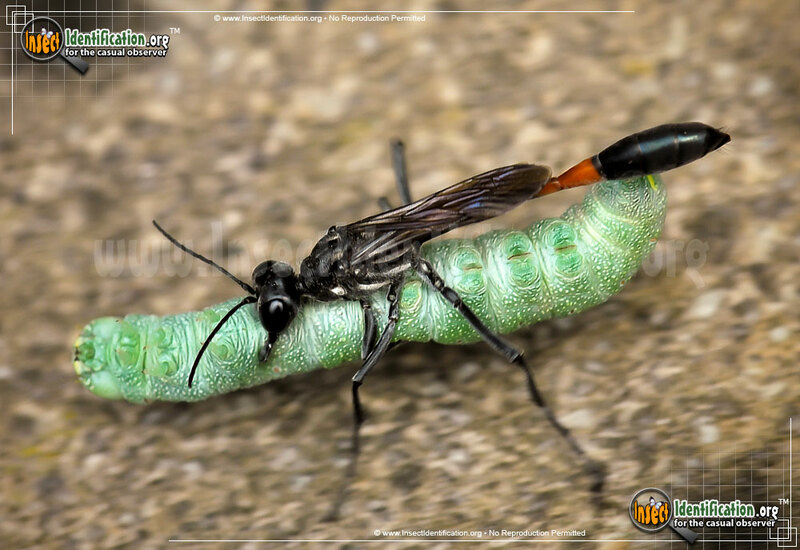 A relative of Mud Daubers, the Thread-Waisted Wasp builds a similar style of burrow in loose dirt. Inside, tunnels or cells are excavated and the paralyzed prey is tucked inside. 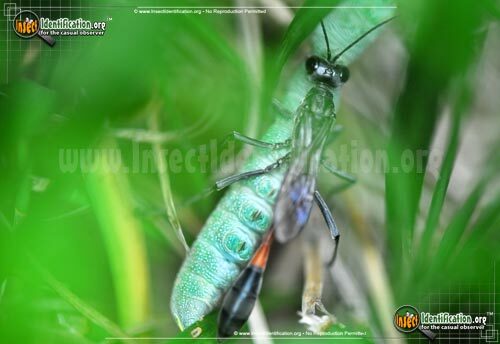 One egg is laid on the alive-but-motionless food source, and when the egg hatches, the parasitic wasp larva begins consuming the paralyzed victim, eating nonessential parts first. By the time the meal is complete, the wasp has matured into adult form and flies away from the nest. Adults drink flower nectar and feed on small insects they catch in the open. Since many plant-consuming caterpillars are taken as larvae food, this insect could be considered beneficial to gardeners and farmers. They are not known to be aggressive toward humans, though stepping on, or rough handling may result in a defensive sting.